Spirulina is a member of the blue-green algae family that became famous after it was used by NASA as a part of the astronauts diet on space missions. It is a cyanobacterium, which is the phylum for bacteria which use photosynthesis for energy. It grows in fresh water. It only flourishes in extremely high pH alkaline lakes and in large controlled outdoor ponds. If you were to view it under a microscope, you would see the wonderful green spiral, which is how it got its name. Spirulina is proven safe by many toxicological research studies. It is listed by the US Food and Drug Administration under the category GRAS, which stands for “Generaly Recognzed as Safe.” It is important to know that spirulina can get contaminated by environmental toxins. Since the March 2011 Fukushima incident, you must be careful where you get your spirulina and sea vegetables from. Spirulina should be high quality, organic and pollutant free. Spirulina is 70% protein by weight. It has 8 essential amino acids plus 10 non-essential ones. 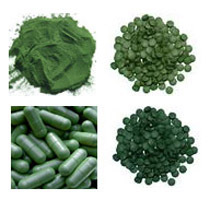 Spirulina has more protein than soybeans, beef or chicken. It has nutrients unlike any herb, grain or plant. It also contains gamma linolenic acid, arachidonic acid, phycocyanin, chlorophyll, vitamin B12, other B complex vitamins, vitamin D, vitamin E, vitamin K, magnesium, chromium, iodine, phosphorus, selenium, zinc and beta-carotene. In fact, spirulina is a richer source of beta-carotene than carrots. Spirulina lowers chloesterol and triglyceride levels. It improves the gastrointestinal health, helps the digestive process and creates flora in the digestive tract. Spirulina slows the aging process. It can help to decrease candidas albicans. It detoxifies the body of radiation. Spirulina helps to improve bone marrow and spleen, thus producing more red and white blood cells. It contains thyroid-supporting minerals iodine and tyrosine. Spirulina has anti-inflammatory properties which helps to improve nasal allergies. It is especially beneficial for people who are hypoglycemic because it stabilizes blood sugar levels. It promotes weight loss if needed. Spirulina is beneficial for the skin. It improves sun spots, acne, eczema and rashes. It is good for the eyes. It helps to improve vision and also with glaucoma and cataracts. Spirulina with zinc is useful for treating arsenic poisoning. 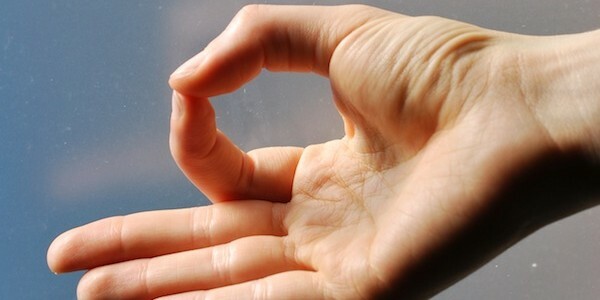 It also helps to rid the body of lead, mercury and other toxins. Preliminary studies of people with type 2 diabetes mellitus reports that spirulina helped to reduce fasting blood sugar levels. Spirulina helps improve chronic fatigue or anemia. It gives energy because of the B vitamins. Spirulina has anti-viral activity, which helps to prevent infections. It improves brain function. A clinical study on schoolgirls in India, showed significant results on their overall health and intellectual performance. A study of 170 children (84 HIV-positive and 86 HIV-negative) in Burkina Faso, demonstrated the benefits of spirulina in the treatment of child malnutrition, as well as its particularly positive impact on the nutritional rehabilitation of HIV-infected children. University of South Florida neuroscientists have found supplementation with spirulina provided neuroprotective support for dying motor neurons in a mouse model of amyotrophic lateral sclerosis, also known as Lou Gehrig’s disease. The amino acid phenylalanine in blue-green algae may cause an adverse reaction in people with the genetic condition phenylketonuria and should be used cautiously. Also, some people are allergic to iodine so spirulina would cause a reaction. If you are unsure, I recommend slowly adding it to your diet, listening to your body and watching for signs of reaction. I prefer powder spirulina over pills. I like to add them to my smoothies, sometimes juices and other foods. The benefits of spirulina are amazing! I can see why it was declared by the United Nations as the food of the Future!